Two of our favorite apps along with an up-and-comer received updates this morning that you may be interested. 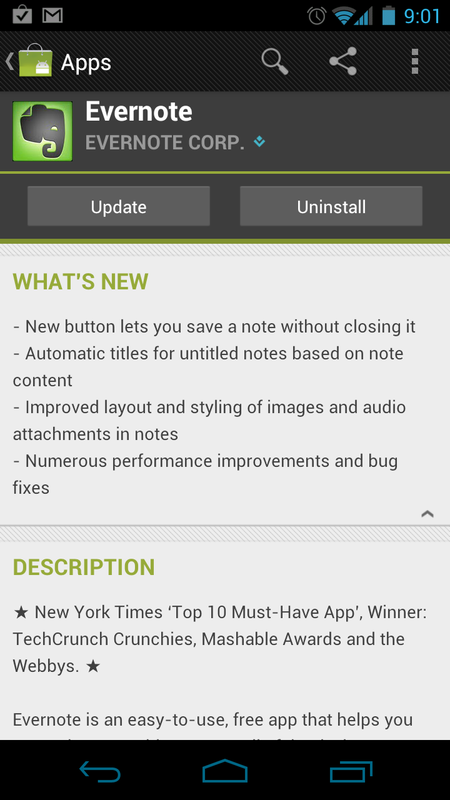 Evernote – the #1 note app on the planet – now creates automatic titles if you forget to, has improved layout for images and audio attachments, and should perform at a much swifter pace. 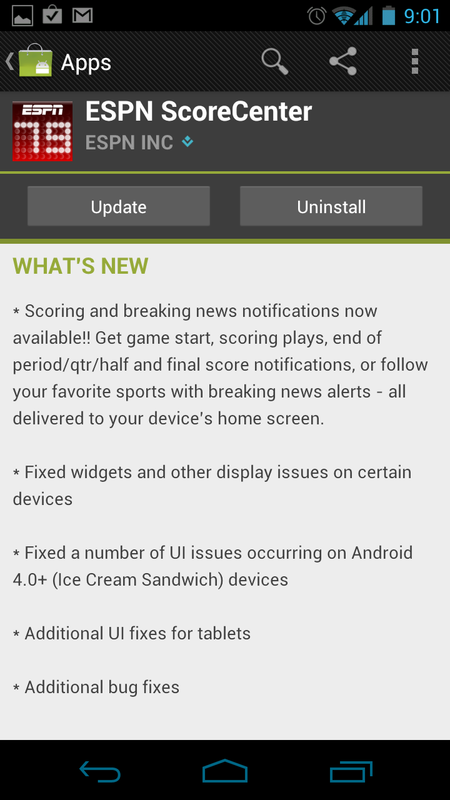 ESPN ScoreCenter finally received Ice Cream Sandwich improvements, but the big story here is the breaking news notifications to tell you when games start, periods end, and what the final score was. Evi on the other hand appears to be struggling still from server overload. 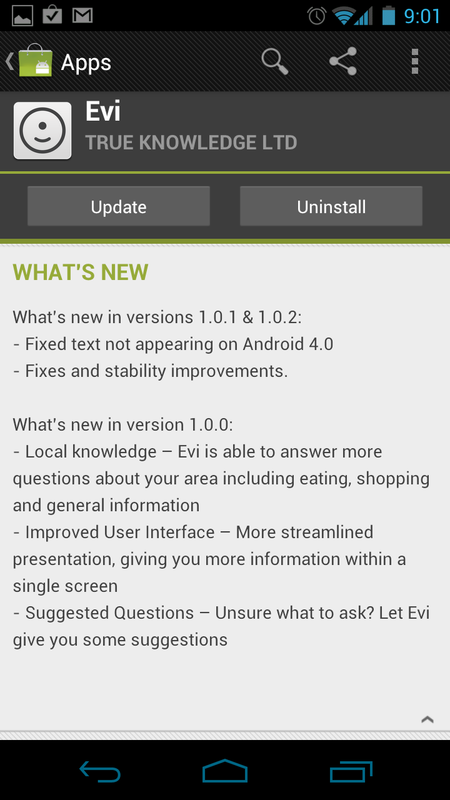 Today’s update included bug fixes, but we can’t really know since the app itself fails to produce any results still.